Addiction is a very individual disease. Each person who suffers from addiction experiences it in a way that is unique to them. However, when it comes to treatment, we often fail to recognize how different each individual can be. We’re facing a nationwide opioid epidemic, and the truth is we still have a lot to learn about treating addiction. There is no single magic ‘cure’ that’s going to work for everyone, and for many people recovery is often a matter of trial and error. As more and more people are taken by addiction, we are experiencing a growing necessity for different types of treatment programs. The ‘cookie cutter’ program approach isn’t guaranteed to work for everyone. When a doctor prescribes a medication to treat an illness, they monitor the effectiveness and make changes based on how well the treatment is working. That kind of problem solving needs to be used when treating addiction. Its important that addicts be able to course-correct their treatment and find access to new pathways towards sobriety. Fortunately, rehabilitation professionals are becoming increasingly familiar with alternative methods of treatment. One of these lesser-known options utilizes a drug called Ibogaine—a natural psychoactive therapy that has proven to be an effective addiction treatment. Ibogaine is a natural alternative to some of the more traditional addiction treatment options. It’s derived from an African plant that has psychedelic properties called Tabernanthe iboga. 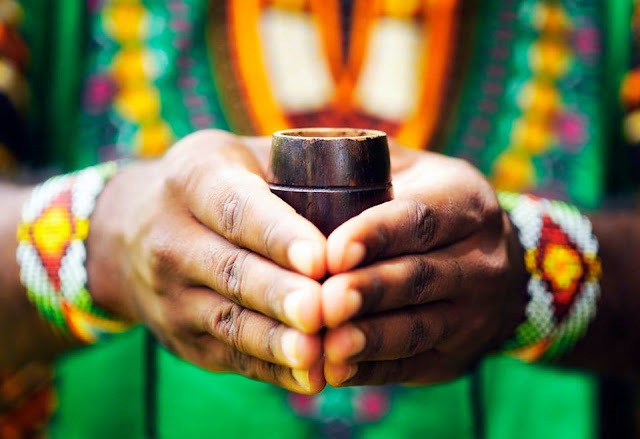 The native peoples of West Africa have used this iboga root, in the form of a tea, to induce spiritual awareness. It has been the core of their spiritual ceremonies for centuries. However, in the 1960s, Ibogaine, extracted from the iboga root, was found to interrupt addiction. While experimenting with different substances Howard Lotsof, who at the time was a heroin addict, discovered that ingesting Ibogaine eliminated his withdrawal symptoms and his body’s dependency on heroin. After this realization, he began treating many of his friends who were also heroin addicts with the same results—they were able to overcome the horrible symptoms of withdrawal and almost immediately break free of opioid dependence. To Lotsof, this was a massive discovery, and he spent the rest of his life studying Ibogaine and its effects on the addicted brain. In order to understand exactly how Ibogaine works we need to take a look at the brain and exactly how addiction affects it. Chemical dependency occurs when someone’s brain becomes so accustomed to the neural chemicals, provided by drugs and alcohol, that the natural production of those chemicals becomes much less effective. This means that if they stop supplying their brain with that addictive substance, the body starts to fight back—causing physical withdrawal. Often, the withdrawal experience is so unpleasant that many addicts will continue to use just to avoid the discomfort. When a person no longer has the ability to feel normal without taking some sort of drug, they have a serious problem with no simple solution. Getting through physical withdrawal can be brutal. Although many clinics offer what they consider to be “better” ways to get through withdrawals, the detox solution is often just sitting in a room while the brain adjusts back to normal levels—often taking days or even weeks. As an alternative to enduring this extended period of painful detox, many addicts turn to Ibogaine. Ibogaine targets the area of the brain associated with addiction. By “resetting” the brain, Ibogaine is able to renew the neurons and pathways back to their pre-addicted state. For the addict, this means that Ibogaine eliminates 80% or more of all withdrawal symptoms almost immediately after the dose is taken. This means that Ibogaine can often offer addicts not only a fresh take on addiction treatment, but also a holistic method of detoxing quickly without the pain of withdrawals. But if Ibogaine is so effective at treating addiction, why isn’t it available in the USA? Unfortunately, doctors in the U.S. have been unable to study the medication to its full potential. Since the 1960s, almost every psychedelic, including Ibogaine, has been outlawed even for scientific study. However, with MDMA and other psychedelics starting to gain footing in the United States medical system, Ibogaine may not be far behind. Even though Ibogaine has shown to be fatal in some who use it, modern science has significantly reduced this negative outcome, making Ibogaine much safer than it was just a few years ago. The future of Ibogaine and other psychedelics is promising. Ibogaine can help the brain return to its naturally balanced state much faster than waiting for the body to recover on its own. But it is not a cure and it will not force an addict to stay clean. Freedom from addiction to drugs and alcohol is a lifelong process that requires a different approach for each person. Ibogaine, combined with a rehab or aftercare program, can often be one of the most promising treatment options, especially for those who have tried other treatment programs with little or no success. With new discoveries being made in alternatives like Ibogaine, there’s more hope for long-term sobriety than ever before. Every addict deserves a chance to live a sober and successful life. There are many treatment options available and Ibogaine is just one of them. Each addict must educate themselves and find the right treatment for them.